The Janis Joplin limited edition collectible is hand painted and numbered and produced as a fine arts piece. There are only 3000 created and sold worldwide. This statue is now In-Stock. 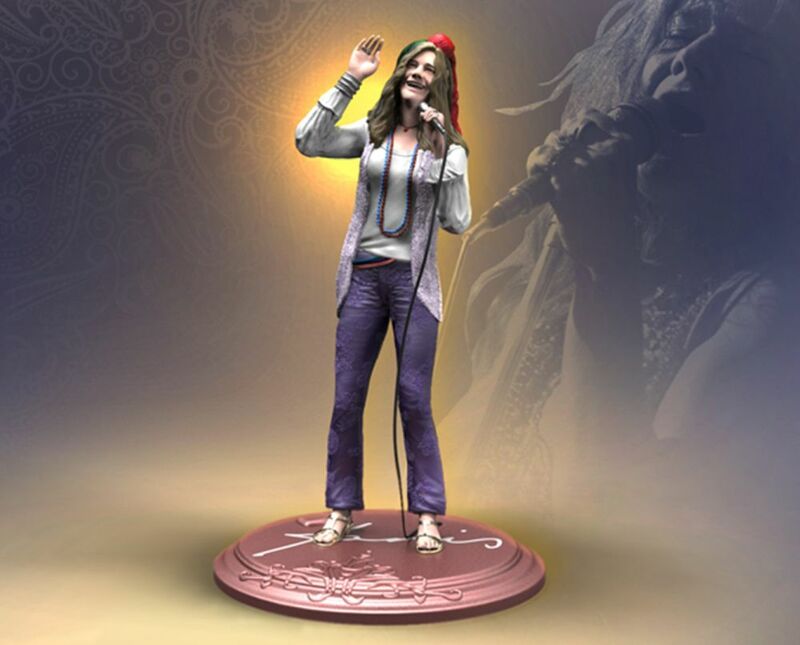 The Janis Joplin Rock Iconz statue is approximately 8.5″ tall and comes with a certificate of authenticity on the base. Reserve yours now to ensure you receive one of these limited edition collectibles. Darkside Collectibles Studio is the registered trademark and copyright of EMA Legendary Collectibles Group Ltd. All Rights Reserved.